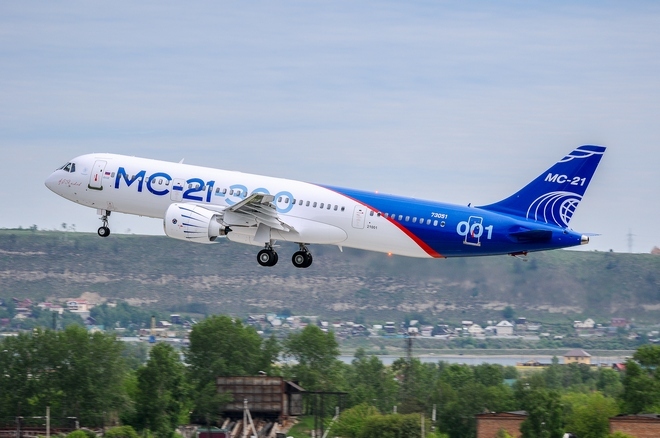 The second flight-capable iteration of Russia’s advanced narrow-body MC-21 aircraft is sporting a new livery. Instead of the Russian flag-inspired tri-colours used on the first prototype, the designers chose to paint the latest version’s fuselage completely white – “to give an illustrative demonstration of the airframe surface’s high quality and the precision of the section joints,” Irkut, the aircraft’s manufacturer reveals. In its new livery, the aircraft took off from Irkut Aviation Plant’s airfield on July 11 for a three-hour, seven-minute test flight, which included aircraft systems checks and the mapping of aerodynamic corrections for the aircraft’s airspeed measurement system. The prototype reached an altitude of 9,000 metres and the flight was completed uneventfully, the original equipment manufacturer (OEM) reports. The second prototype of the MC-21-300 joined the test programme on May 12 of this year 12 months after the first performed its maiden flight. Each prototype aircraft is powered by Pratt & Whitney PW1400G geared turbofan engines. A third prototype is currently undergoing static tests at Central Aerohydrodynamic Institute (TsAGI) at Zhukovsky near Moscow, while three more test aircraft are being assembled at the Irkut Aviation Plant. 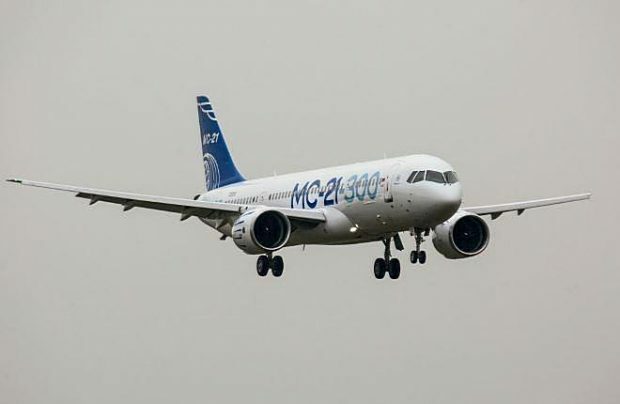 Meanwhile, preparations for the serial production of the MC-21-300 family is underway, the OEM reports. 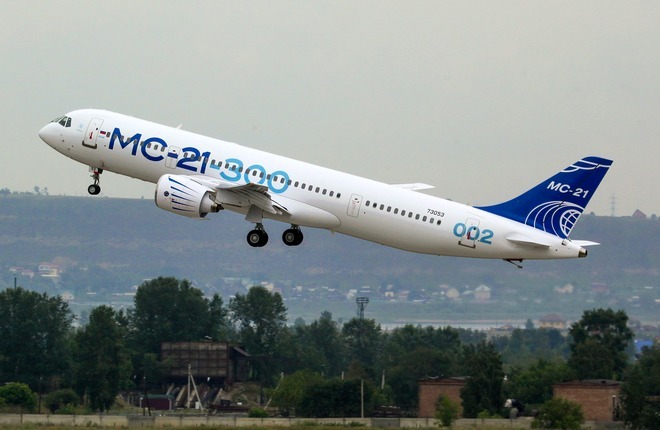 MC-21 is the first Russian-made narrowbody commercial passenger airliner designed in the post-Soviet era. The program was launched in 2007 and is headed by Irkut, a subsidiary of Russia’s United Aircraft Corporation.